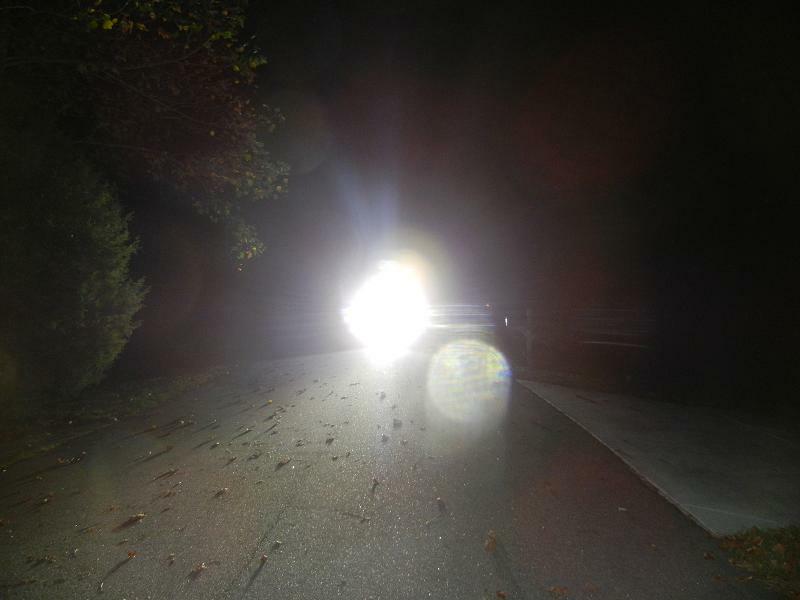 Okay, I got bored and ordered another LED light bar from Ebay, just to do a comparison to find out if the name brands are worth it. 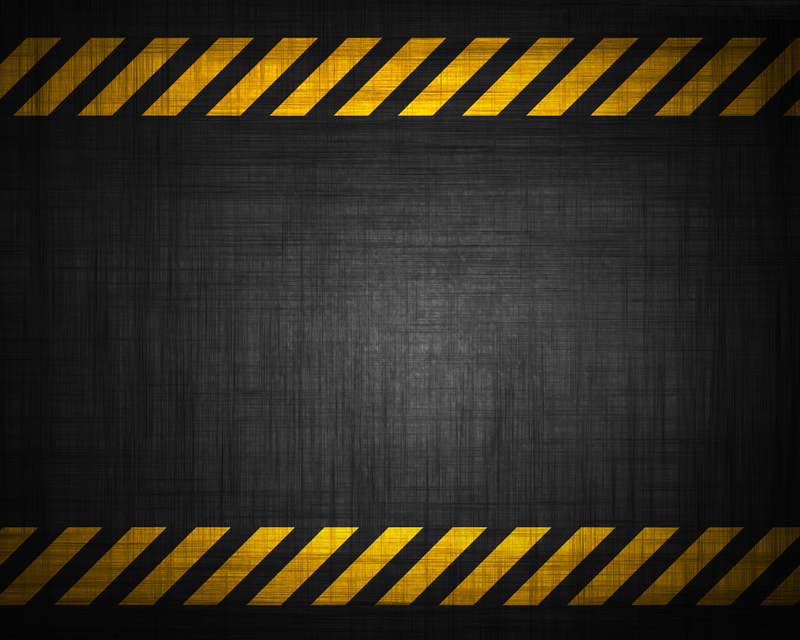 This is only a preliminary test, and more will come over time. The Rigid bars are mid range. The hardware is high quality, the aluminum and finish feel nice. The Rigid bars are the only one in the test that include a wiring harness, switch, etc. The polycarbonate lens is thick and easy to replace. The aluminum is cast with what I assume is a painted finish. I've had these for several years now and the sun has faded the black finish substantially. Think Nissan Xterra plastic parts... The bars come with mounting brackets that are easy to use for many mounting options. The BD ONX bar is incredible. Everything about it is top quality. Machined, anodized black aluminum make this bar a work of art. Hardware is top quality. Mounting brackets are great as well, with a great adjustment feature where you don't have to loosen the light mounts to adjust, you just loosen the adjusters. This bar does not come with a wiring harness, but most people installing this level of light are typically wiring their own stuff. The polycarbonate lenses are easy to replace as well. The Ebay bar is about as expected. Aluminum and finish are both a little soft, but they look nice. The end caps are plastic and seem a little more flexible than I like. There is no wiring harness and the wire itself appears to be steel or some other non-copper based wire. The polycarbonate is pretty thin, but for the span, I'm sure it's adequate to protect from rocks and other stuff. The mounting brackets are a little chintzy, but they offer decent adjustability. I prefer the end mounts of the other bars for ease, but these would work wonderfully for mounting to tubing or flat plate. The Rigid bars are more of a long range flood. There are no hot spots, just a wide, tall, even light everywhere you look. Much wider than the other two, with more light to the sides and a taller beam as well. These bars excel at spotting deer in the fields as you drive down country roads. The reflections from signs is terrible as a result of the wide beam. The BD ONX bar is a long range spot beam with some flood thrown in for good measure. 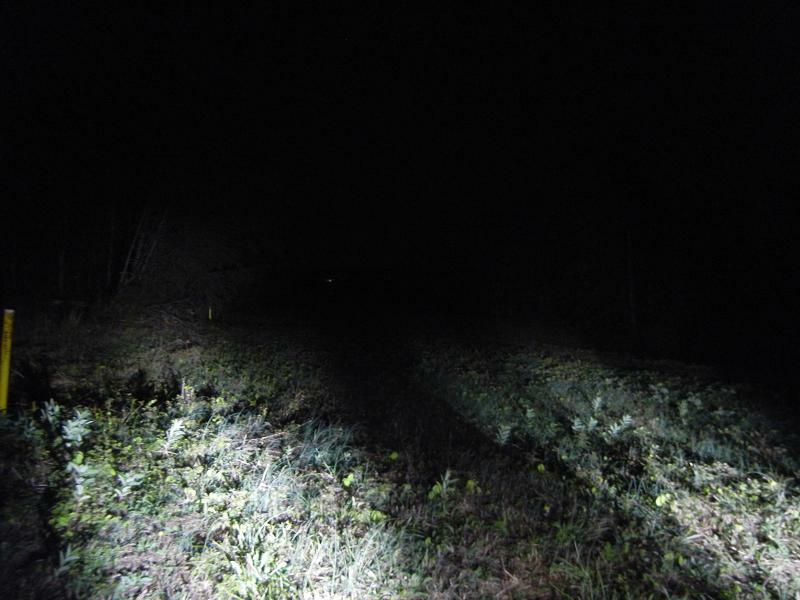 Distance is incredible, and I really like this beam pattern for driving down dark roads at night due to the longer range. Deer spotting isn't great, but you'll still see ones dangerously close to the road. Road sign reflections aren't as angry as with the Rigids. The Ebay bar is a combination of flood and spot. 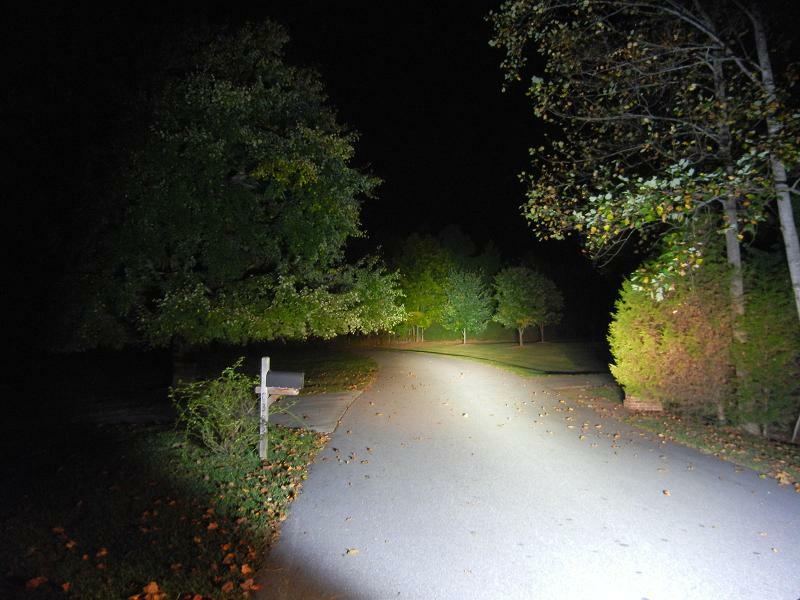 There are 12 lights, with two flood beams on each end and eight spot beams in the middle of the light. The resulting beam is very similar to the ONX in pattern and quite nice for general driving as well. The Rigid bars are rated at 5600k and are white with a decent bluish tint. I'm not a big fan of the blue as it's harsh on the eyes at night, especially in sign reflections. Your eyes naturally adjust back to darkness much more quickly after having seen warmer color lights like red and yellow, and the blue takes more time. This is the reason why many car companies use dark orange/red for the dash lights and instrument clusters. Same reason why you see red lights in submarines, boating, etc. 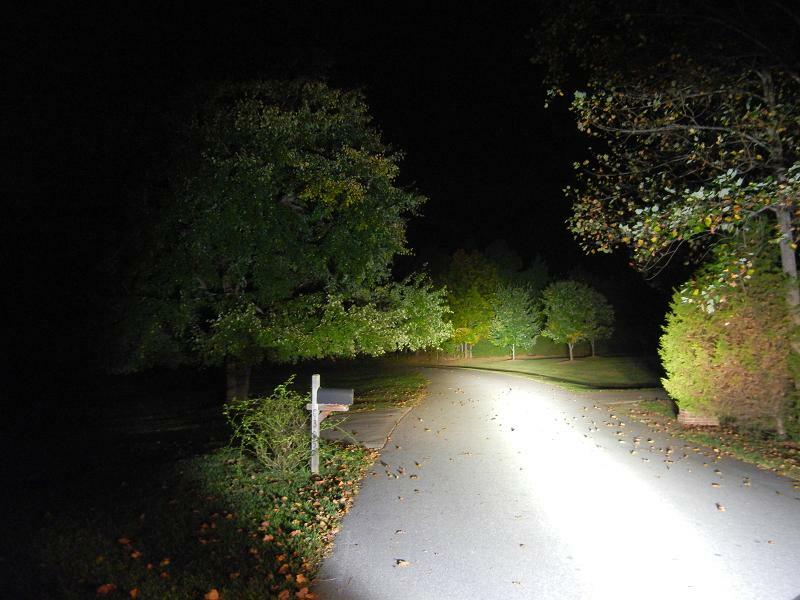 The BD ONX is rated at 5000k and honestly, is more comparable to 4300k HID lights that I've seen. Very white with almost a tinge of yellow, but not quite. By far the best color of the bunch. 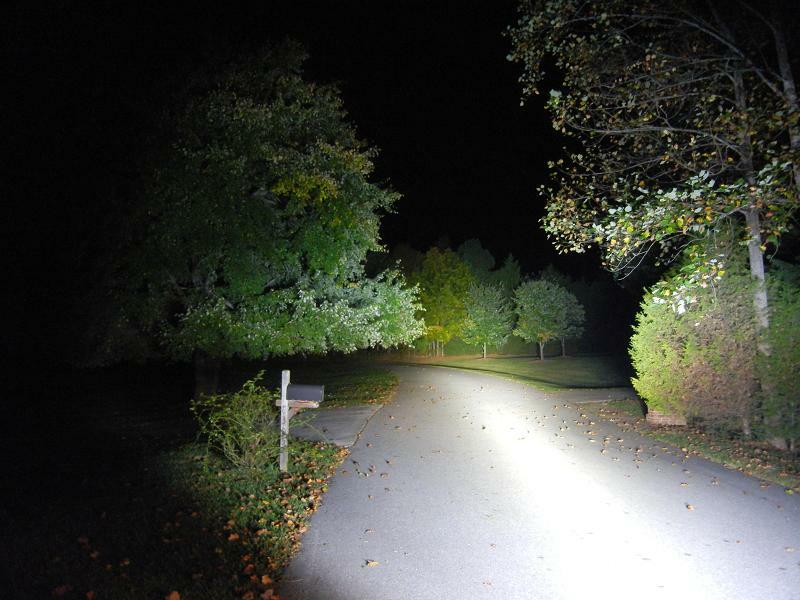 Things seen at night look more realistically colored using this light. The Ebay bar is rated at 6000-6500k, which is pretty blue. Honestly, I think they're closer to the 5800-6000k range because they're quite close to the Rigid bars and I trust Rigid's rating more than the Chinese translation. I'm using a crappy point and shoot for these, but the first three pictures all use the same settings. The last picture with all lights on uses a faster shutter speed, so the light appears a decent bit dimmer than in person. The trees in the distance are just over 500' away. I'll post more pictures in the future showing a longer range. 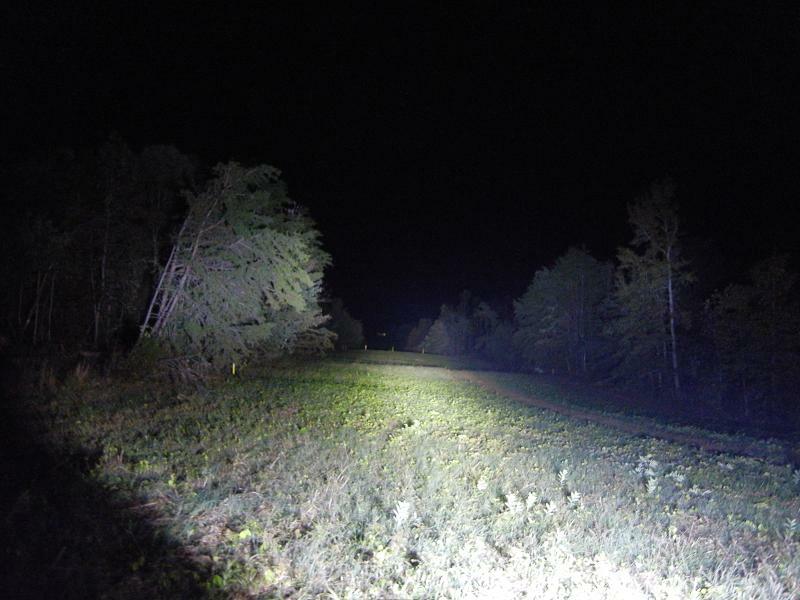 All lights put out a lot of light and even though there's a big difference in lumen ratings, all put out very similar amounts of light. 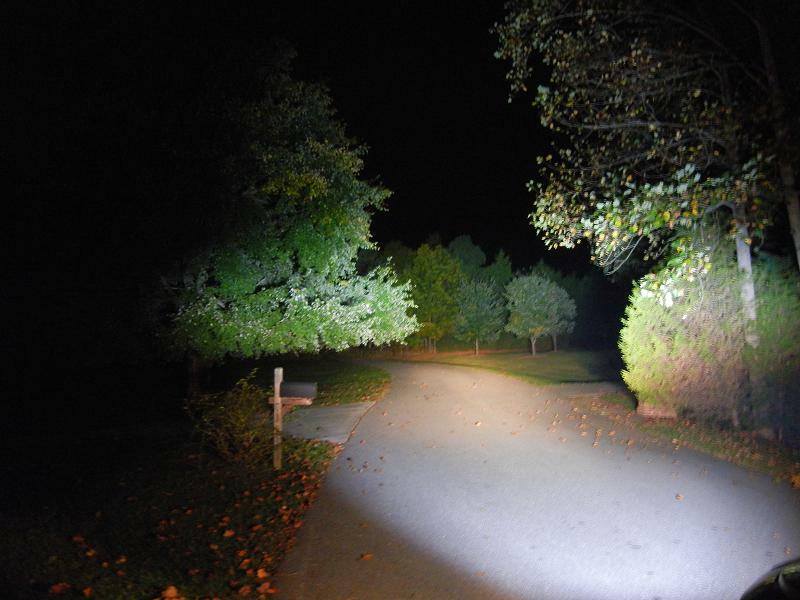 The Rigid lights win for a wide beam pattern and compact housing. 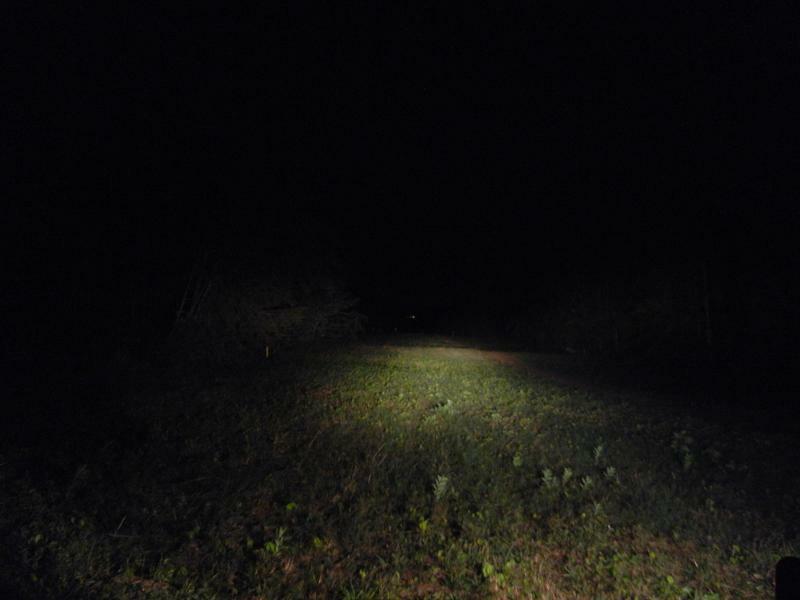 This light really compliments the other lights due to the extra wide output, though that's hard to see in the pictures. These lights are also much smaller than the other two, so if you're tight on space, these might be the lights for you. For the money, I'm not sure that these lights are worth the extra width, especially considering the price I got was hard to come by. The ONX bar wins for quality, distance and color. You can't see it in the pictures, but the distance is still a good bit farther than the Ebay bar. The light color is much nicer than the other lights as well. This is a light you buy to use hard for a long time when only the best will do. The Ebay bar wins for bang for the buck. It's got a great beam pattern, and even though the beam is more blue than I like, it's a good option for most people, assuming it lasts. It's cheap, and if it takes a beating, that's fine. If anything breaks, you throw it out since it's not serviceable like the other lights. You can buy three of these for less than the other lights, so the output would be much more than the others when the price is a factor. what are you gonna do with all those lights now that you have them Ryan?? return? sell? If anyone wants to see these in person to help make any light purchasing decisions, let me know. Ryan, this is such a valuable thread for anyone interested in investing in LED lights... thanks a ton for this write-up! It's amazing the subtle, but important differences between these different bars. The BD ONX is clearly the winner as far as quality and performance goes... I might have to look into those down the road! But yeah, my offer is still up for that Ebay bar! I can already see it working well on the underside of the ARB rack (beneath the current IPF lights)! Thanks again!!! I got to play with them a bit on the way to work this morning. The pictures are misleading on the brightness between the ONX and Ebay bars. 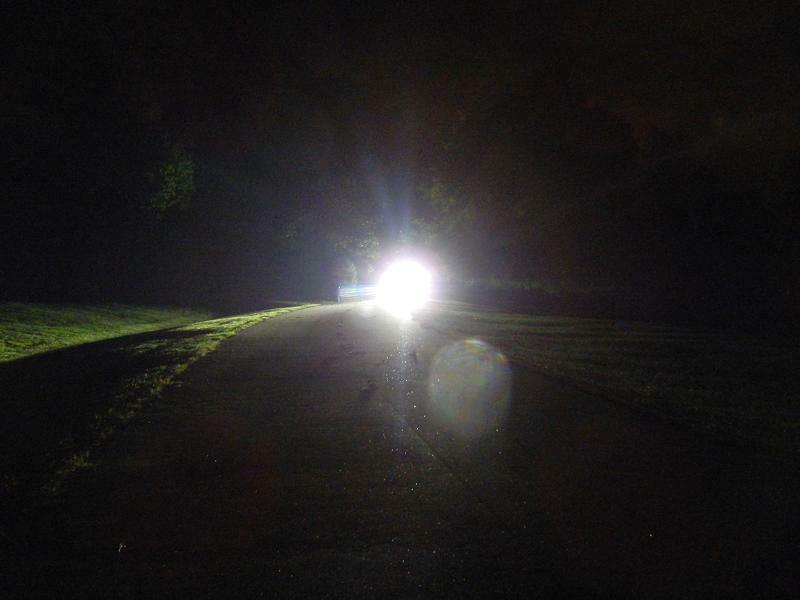 I'll try to get some updated pictures in a better location, especially one where I can shine farther down the road. The patterns are almost identical, but the beam and color are much improved on the ONX. Link is in the first post just under the #3. 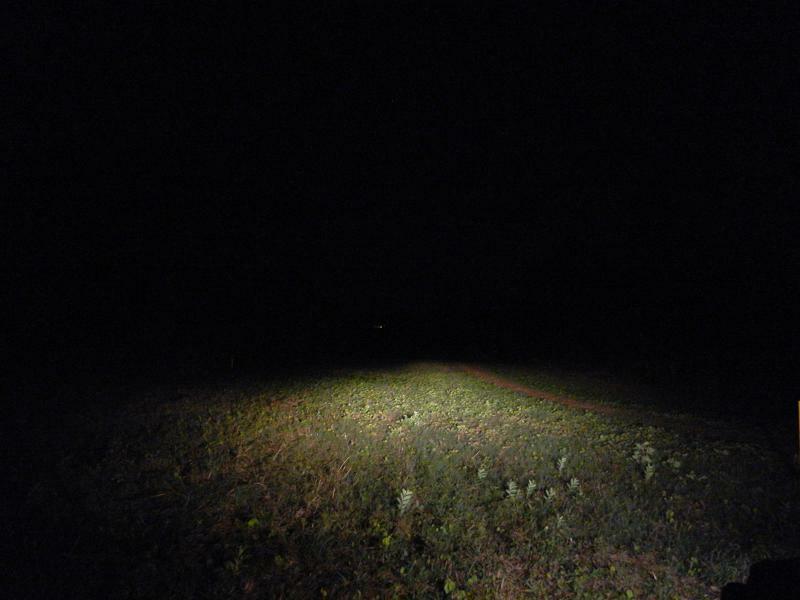 I was searching for a light bar that had the 10w CREE LEDs, and a combination beam in a roughly 20" size. I also wanted a polycarbonate lens. This was the cheapest version that looked just like the Lifetime LEDs that people have been liking and posting good reviews of. It says 12,000 lumens, but I'd guess it's closer to 8,000. Still a lot of light for the money in a very usable pattern. Shipping took a bit under a week. I might try to go out tonight to a longer range location to get some better pictures comparing the ONX and Ebay bars. World Series might hold my attention though. 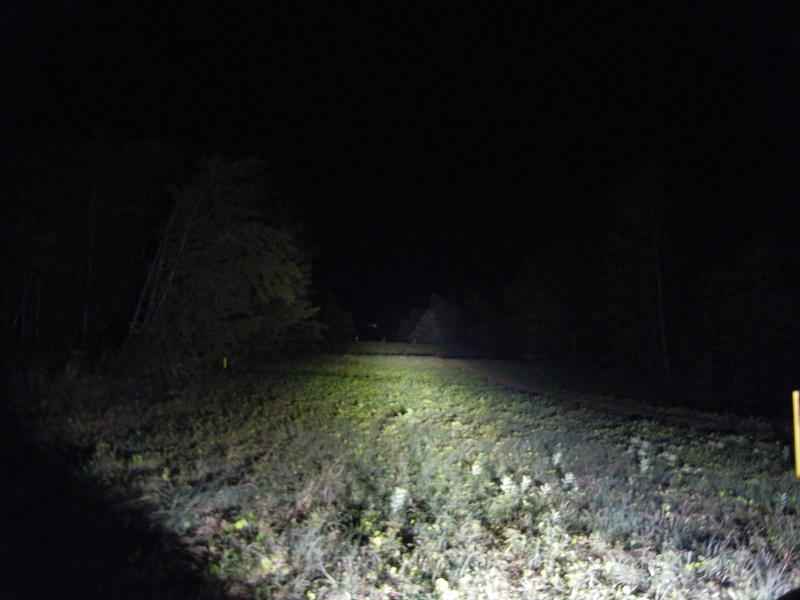 This clearing is a little over 100' wide, and the farthest trees visible in the "All LEDs on" picture are 1600-1800' away. The ground disappears around 1300' away, so pretty much right at 1/4 mile. wow, that ebay bar really works! Bought a Rigid led and that cheap ebay. 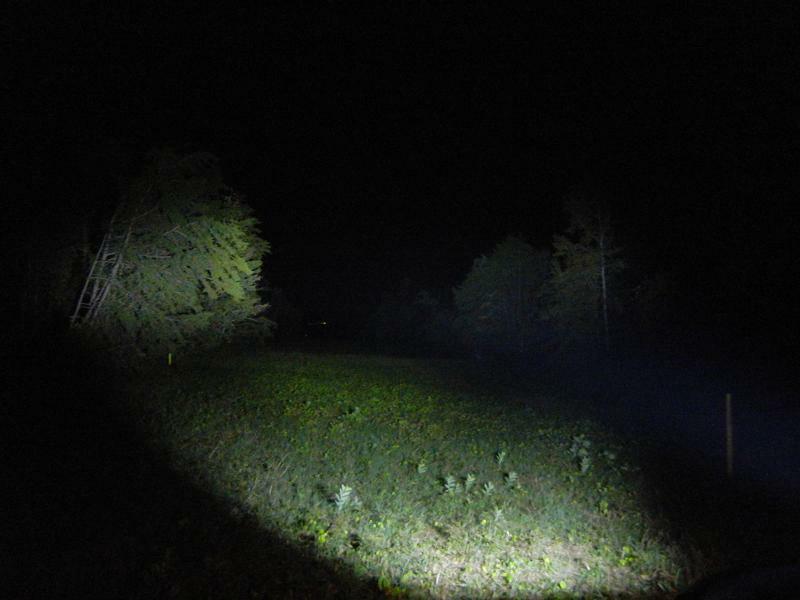 So far bought led light do produce great light visibility. But the ebay led is build not that sturdy as the Rigid. The same applies from the Baja Designs to the Rigid bars. Rigid bars aren't even close to the quality of Baja's bars, but they're still much nicer than most eBay bars. What about Westin and Pro comp light bars. Has anyone tried them yet? I'm quite tempted to get one from 4wheelonline, but really sure with its quality. I haven't seen either in person yet, and I also haven't seen any copies of their bars on eBay either. Personally, after trying multiple bars, I won't buy any bars that aren't utilizing 10w LEDs instead of the more common 3w and 5w chips in most lights. I see Westin has an IP line that utilizes 10W CREE chips, but they're as expensive as Baja Designs bars. Anyways bought a rigid industries light bar, not the cheapest, but surely offers a durable and sturdy design.